Publisher, author and natural philosopher. Born in Peebles, the younger brother of William Chambers (1800-83). The family moved to Edinburgh in 1813 and Chambers began selling books from a stall in Leith Walk in 1818. He later joined his brother to form the noted Edinburgh publishing house of W. & R. Chambers. Chambers lived in Ann Street in Stockbridge. In 1824, he wrote The Traditions of Edinburgh, a remarkable account of the city repleat with anecdotes and reminiscences, which remains in print today. He was also responsible for the Vestiges of the Natural History of Creation (1844), which was published anonymously in London. This created a storm by preparing the ground for the controversial concept of 'evolution', later more accurately portrayed in Darwin's The Origin of Species. Chambers' authorship was eventually revealed in the 12th edition of the work (1884). 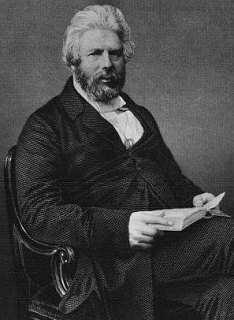 Chambers was also the author of many essays and received an honorary doctorate from St. Andrews University (1863). He died in St. Andrews.